When it comes to moving a lot of water on a little solar power, this 3" Big Boy is amazing. The pump includes a special impeller and 1 HP DC 180 Volt motor which produces a whooping 240 Gallons per Hour! All unions and everything you need to harness the power of the sun to move water is included. 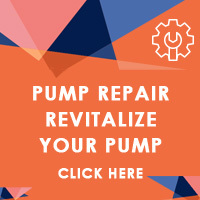 The Evolution ES Big Boy pond & water garden pump is a High performance, High flow, High energy efficiency industrial grade pump that features a true 3 inch suction and discharge and comes with quick connect unions. The ES Big Boy achieves phenomenal flow rates and low energy consumption through out the ESBB line of pumps These professional grade self-priming external pumps are specifically engineered to provide years of exceptional performance and reliability with the lowest possible energy consumption with whisper quiet operation. These economical out of water pumps are an ideal choice for use in large ponds, fish hatcheries, and commercial water features. Trusted by experienced pond builders worldwide, the Big Boy Pumps are also an ideal choice for use with larger Filters and other professional pond filtration systems. When you compare actual flow rates and wattage consumption to competitor pumps on the market today, the Big Boys are in a class of their own! Manufactured and assembled in the USA and covered by our exclusive warranty, these durable workhorse energy saving pumps are built to last. Certain models feature custom engineered quality US-made Leeson and Baldor motors. Offering exceptional value, the Big Boys are truly the professional's choice.